During his inspection tours, the First Emperor set seven stelae in various locations. The inscriptions carved upon these stelae were eulogies to the First Emperor for his achievement in the unification of the country and the abolishment of the feudal system, as well as in the establishment of the nation wide bureaucratic system. 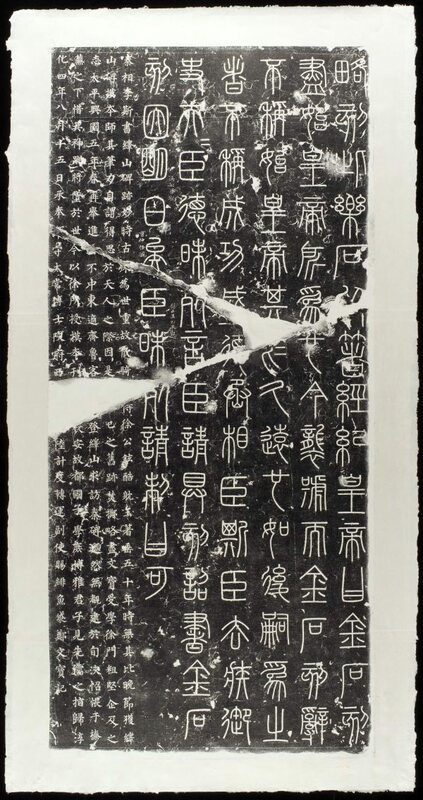 The text shown in this ink rubbing was originally carved on a stele set in Mount Yi, located in present-day Zhou County, Shandong province. It was placed in 219 BCE when he ascended the mountain during his second tour. The text was written in ‘small seal script’ by Prime Minister Li Si. 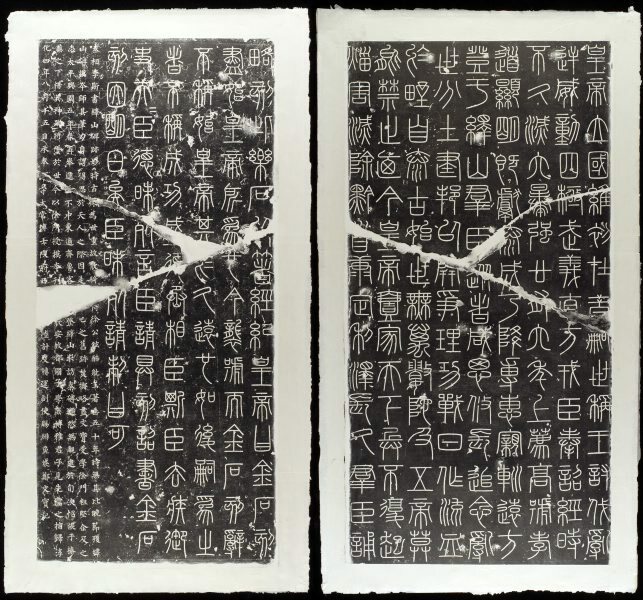 It consists of two texts: the first (144 characters) was composed during Qin Shihuang’s tour. The second (79 characters) was added in 209 by Qin Shihuang’s successor Huhai, who in his first year of ascending the throne, embarked on an inspection tour following his father’s footsteps, and added inscriptions onto all the stelae his father established. The original Mount Yi stele was destroyed by fire during the Taiyuan reign of the Tang dynasty (618-907). 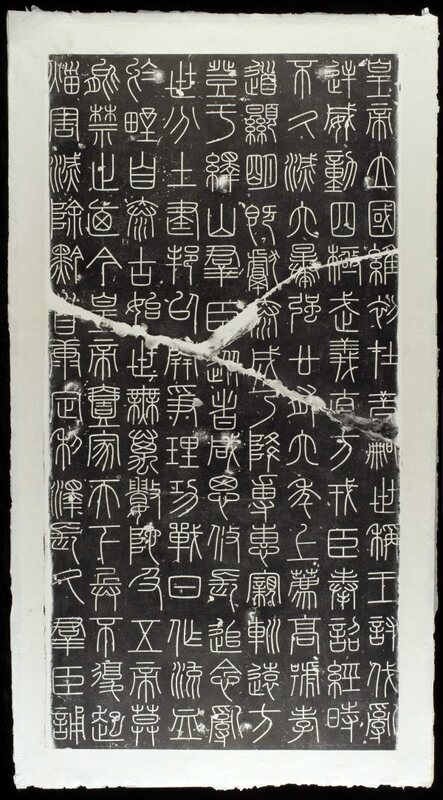 The current text of the original Mount Yi inscription, preserved on a stone stele now in the Beilin Museum in Xi’an, was written by Zheng Wenbao (953-1013), a scholar official of the Northern Song dynasty, in 993, based on an earlier copy.